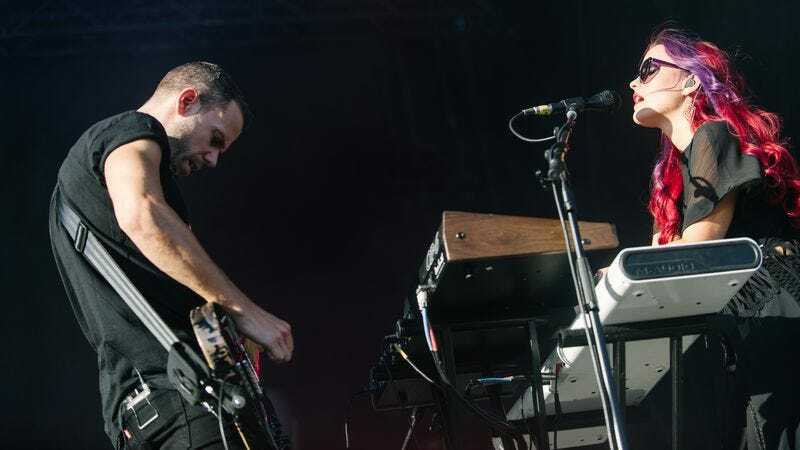 Synthwave favorites M83—led by Frenchman Anthony Gonzalez—will be teaming up with Canada’s Cirque du Soleil for their newest production, Cirque du Soleil Volta. The new show will be presented under the Big Top in the Old Port in Montreal starting April 20, 2017. “Volta is a contemporary show brimming with energy, but it is also deeply human and theatrical,” explains writer and director Bastien Alexandre. “We were seduced by Anthony’s ability to create melodies that are both epic and poetic and transcend the heart and soul.” Cirque du Soleil’s new show, of course, does not feature animals but rather tells the story of Waz, a popular game show host who “has lost touch with his inner self in the pursuit of fame.” It happens—just check out Chuck Woolery and Pat Sajack’s Twitter accounts from time to time. M83’s 2011 album Hurry Up, We’re Dreaming was nominated for Best Alternative Music Album at the 2013 Grammy Awards. Its music has yet to be used in a Michael Mann film, despite recalling the works of Tangerine Dream, but at the very least was featured in Nicolas Winding Refn’s extended Gucci ad from earlier this year. “Ultimately, it’s challenges like this that I find so inspiring and drive me to make the music that I do,” says Gonzalez. Tickets are available now on the Cirque du Soleil website.